This page is updated frequently. If any link fails to work when clicked, RIGHT CLICK on the link and choose “Open in New Tab.” It will appear at the top of your screen and can be opened there. Here is the current tentative conference schedule. It will be updated regularly at this link. 2018 REGISTRATION FORM You will only need this form if registering via U.S.Mail. NEPCA’s 2018 fall conference will be held on the campus of Worcester State University Worcester, Massachusetts , the weekend of October 19-20, 2018. June 1, 2018. After that date NEPCA will solicit only papers necessary to round out panels. What are the local options for lodging, transportation, food, and fun? What sort of proposals are appropriate? If you need advice on proposals, click here for a list of area chairs. You can contact the appropriate chair for advice. If you do not see an area that matches your proposal, send it to the chair for Miscellaneous. Everyone should fill out the NEPCA PAPER PROPOSAL FORM. Area chairs or descriptions of each area can also help you determine whether your proposal needs refining. You should consult with the area chair before finalizing your proposal and submitting it to the program chair. Upon acceptance, register using either PayPay or by sending a check to: Robert Weir: 15 Woods Road, Florence, MA 01062. 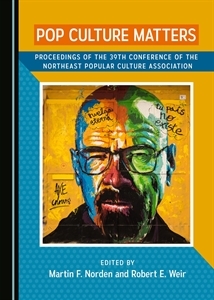 IMPORTANT: If you do not preregister, NEPCA might have to repost a call for papers and remove you from the conference lineup. Do not register until you receive notification that your paper has been accepted. This usually happens in mid-to-late June. You should consult this list regularly as Area Chairs often change before the conference. Here is the current list of area chairs. After my paper is accepted, how do I double check to make sure I’ve submitted everything? [ ] Completed the Paper Proposal on the proper Google Form? [ ] Received official confirmation that my paper has been accepted? [ ] Completed the Conference Registration Form and sent it and a check to the Executive Secretary Rob Weir.